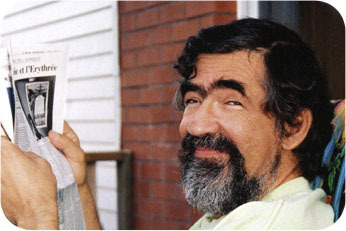 The Alter-Ciné Foundation was created in the memory of Canadian filmmaker, Yvan Patry, who passed away on October 14, 1999. Patry was a co-founder of the production company Alter Ciné and directed numerous documentaries and current affairs programs in Africa, Latin America and Asia: "
documentaries should go against the tide," he said, "they should bear witness and spur us to action." “Chronicle of A Genocide Foretold” (Rwanda) won the Canadian Chalmers Prize for Excellence and Creativity, and the Award for Best Feature Documentary at the HotDocs! Festival in Toronto. “The Forbidden Land” (Eritrea) took the Prix du Jury at the Nyon Festival (Switzerland), and the Blue Ribbon Award at the American Film and Video Festival. “Denial” (El Salvador) was awarded Quebec's Judith-Jasmin Award. “Alonso's Dream” (Mexico) won the Dirk Van Der Sypen Award for the Best Documentary shot in Latin America. 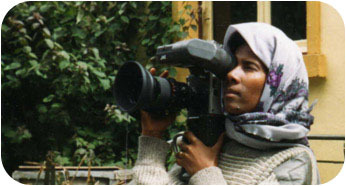 Patrys documentaries have contributed to tearing down walls of silence, denouncing injustice and barbarism, and giving voice to victims of horror. The Alter-Ciné Foundation is inspired by this ethics. The Foundation offers a yearly grant to young film and video makers from Africa, Asia and Latin America to direct a documentary film on the theme of rights and freedoms, including social and economic rights, womens rights, the right to culture and artistic creation. “My First Contact” (Brazil) tells the story of first encounter of indigenous people with Whites in Brazil, and the later consequences of the encounter (lost of identity and land). “Keiskamma: A Story of Love” takes us into a South African village where women fight the encroaching Aids epidemic. “Raymundo” takes us back to the military repression of filmmakers by the dictatorship in Argentina. “Bajo todos los fuegos” takes place in a village in Colombia, where people caught between guerrillas and paramilitary death squads fight for peace. “Oscar” is a portrait of the resistance of an artist against the invasion of street-level advertising in Argentina. These emerging filmmakers are determined to express their realities. To do so, they often struggle against enormous odds, using the limited means at their disposal. They are motivated by a profound conviction that films can make a difference, increasing awareness, building bridges, stimulating and moving audiences to reflect and to take action. These filmmakers are convinced that documentary films constitute an "intelligent", non-violent weapon for change. And they sincerely believe that efforts to denounce injustice and defend individual and collective rights and freedoms can contribute to make the world a better place. “My First Contact” took the First Prize at the Horizons Dokfest Festival in Munich; the Rigoberta Menchu Grand Prize at the Land-in-Sight indigenous Festival in Montreal; and an Award at the Brazilian Environmental Festival (FICA). “Une affaire de nègres” captured the TV5 Award for Best Documentary at the Vues d'Afrique Festival in Montreal, as well as the Oxfam Image of Women Award, for its courage and lucidity, and for the exactitude and human vision. “Garden” won many awards, including in Madrid, Turin, Yamagata, Seattle, and Seville, and was selected for Sundance Festival. “Nos lieux interdits” captured the Best Documentary Award at FESPACO (Burkina Faso), and the Micheline Vaillancourt Prize awarded by France's International Radio and Television Council (CIRTEF). TWO MORE GRANTS IN 2018! The Alter-Cine Foundation is very pleased to announce that this year we will be able to add two awards to our usual slate, one in the amount of $10,000 Canadian and the second in the amount of $5,000. These two awards are in the memory of Mr. Gian-Battista Bachetta, a passionate cinephile who for 25 years worked to assist victims of armed conflict. His widow, Danielle Coquoz, who shares his dedication wishes to honour his memory through the work of the Alter-Cine Foundation. Gianni Bachetta believed in documentary film as an instrument to wake up the public to tragedies and injustice too often ignored by mass media.